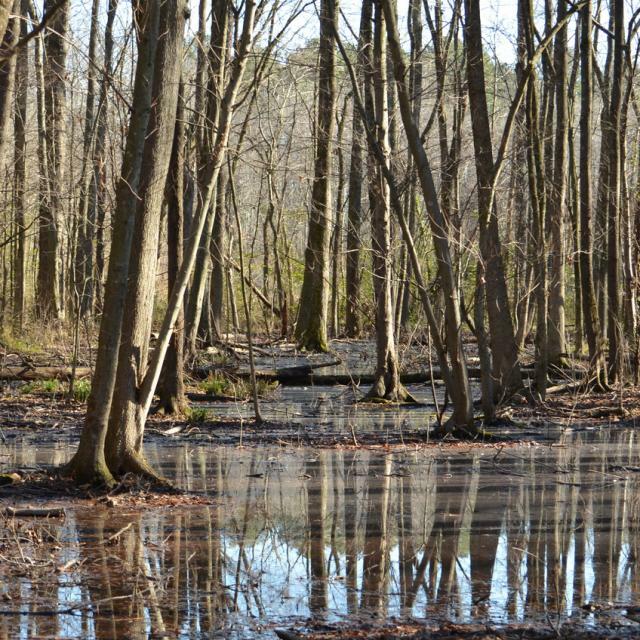 The Wetlands is a quiet part of the James River Park System on the south bank of the river in the Stratford Hills neighborhood – attached to the much more well-known Pony Pasture Rapids Park. 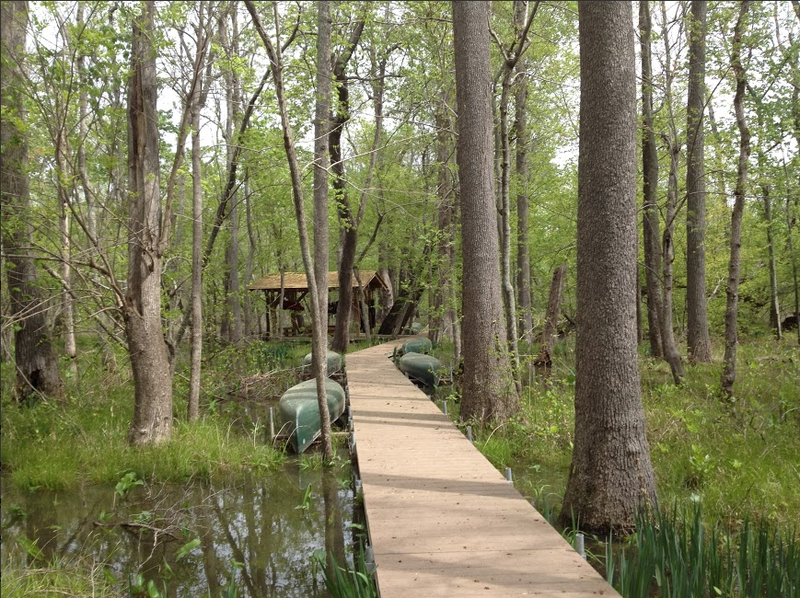 It features a pond, sandy beaches, walking trails, wildlife blinds and birdwatching. 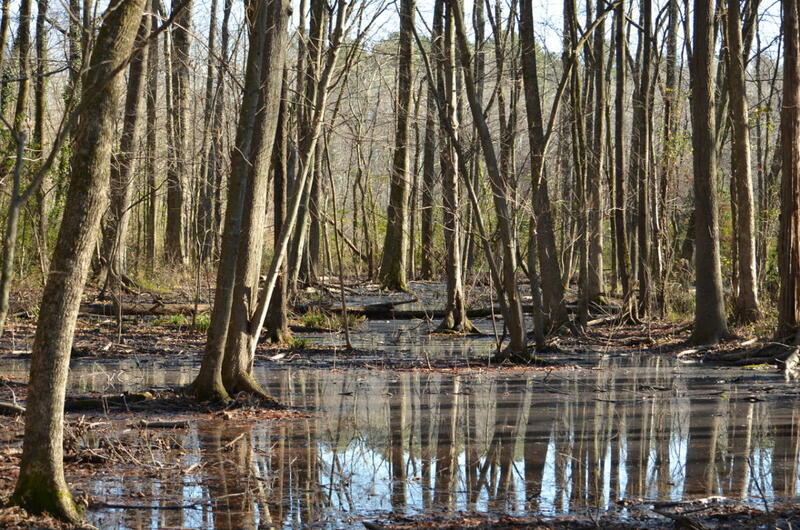 What you’d normally find in the tranquil park is bird watchers, joggers or people walking their dog. During the fall, this is a great place to see a wide variety of colorful leaves. 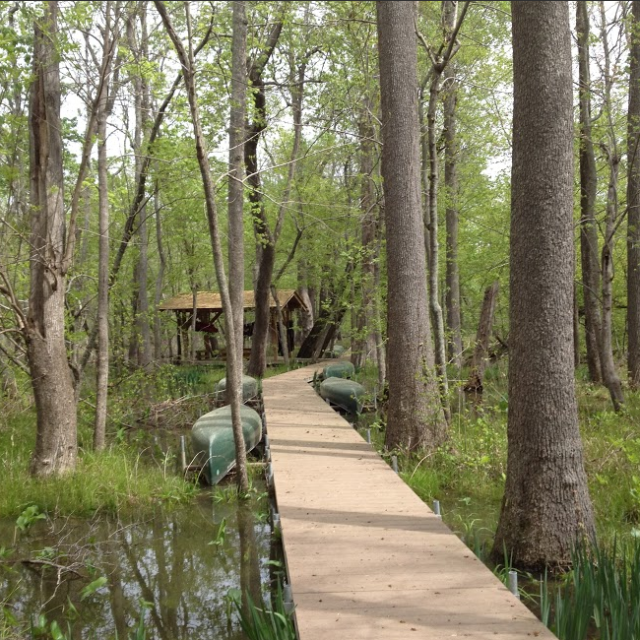 There is a narrow wooden boardwalk over a marsh through the woods that was constructed as an Eagle Scout project. There are many small trails through the woods to explore and the main gravel path is wide and worn enough to allow for children to bike safely. There is a beach in the park and if you are willing to carry your craft a long way, it would be possible to launch from the Wetlands. The park is located at the end of Landria Drive and there is parking for up to seven cars on the street in the cul-de-sac at the entrance. Please respect the driveways and homes on the street.